J.P. Motors commitment to every single customer who walks through its doors is to offer the highest quality pre-owned vehicle at the best possible price. With over 600 vehicles in stock, our inventory is continuously revolving every single week, with our primary focus on Late Model Vehicles ranging in KMS, features and options so that we may cater to every consumers needs and budget. 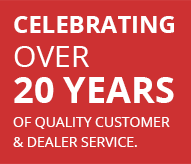 We welcome you to come visit us and experience why J.P. Motors has become such an established, recognized and valued automotive dealership as well as a full service department, in Burlington and the surrounding regions. For over 30 years we have provided our customers with quality auto surface protection products. Our entire product line has been rigorously tested and proven effective, giving us complete confidence to offer unparalleled warranty coverage. In the fight against rust, we are proud to fund state-of-the-future research into electromagnetic surface protection – an innovation that is dramatically reducing the environmental impact of auto protection. Keep enjoying your vehicle’s showroom good looks and ensure its resale value with the best protection products. Period.